SEO (Search engine optimization) is the process of improving the volume or quality of traffic to a web site from search engines via natural or un-paid search results as opposed to search engine marketing (SEM) which deals with paid inclusion. As an Internet marketing strategy, SEO considers how search engines work and what people search for. Optimizing a website primarily involves editing its content and HTML and associated coding to both increase its relevance to specific keywords and to remove barriers to the indexing activities of search engines. 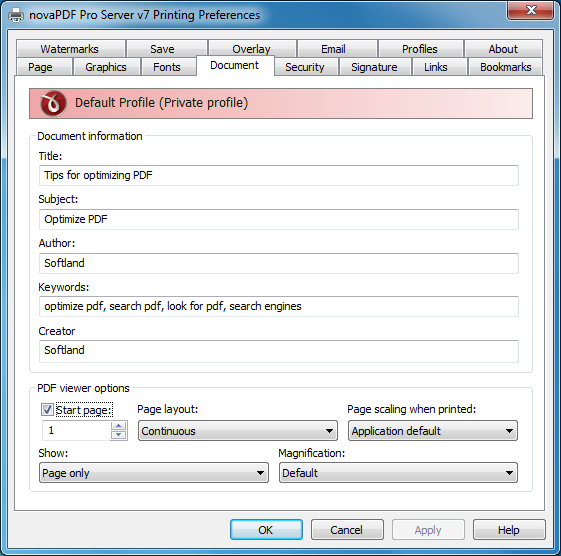 Optimizing a PDF file for search engines with the novaPDF printer driver is an automation advantage because all the user needs to do is enable the SEO options and fill in the details in the novaPDF preferences section. Adding Document Information and Metadata: In the Document tab you can add specific document information such as Title, Subject, Author, Keywords and also set PDF viewer options to best suit your website needs. Describing your file helps the search engines index your page information better. Adding and optimizing the PDF file links: You can add links for specific files or websites you have with specific products so that the customers can have a look at the details and can even add your products to the list if they are interested. In order to convince the search engines that your content is relevant, your website should have a display text containing the text specific keywords. Make sure that your source files and websites in the correspondent links are valid ones. It will increase your credibility for the search engines and potential clients. NovaPDF helps you check all this automatically when you setup the options in the Links section. 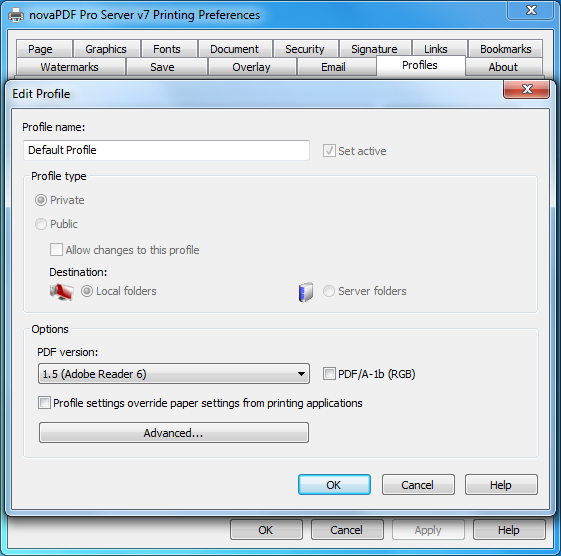 Saving your PDF as a specific version: Even if Adobe Reader and Acrobat 9 are out, you should save your PDF file when converting with novaPDF to a lower version such as version 6 to ensure search engines can index the resources. 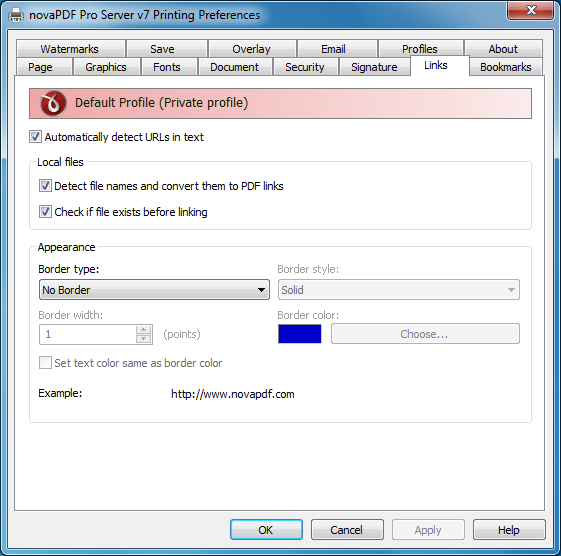 You can set this up by accessing the novaPDF Printing Preferences and editing your existing Profile. 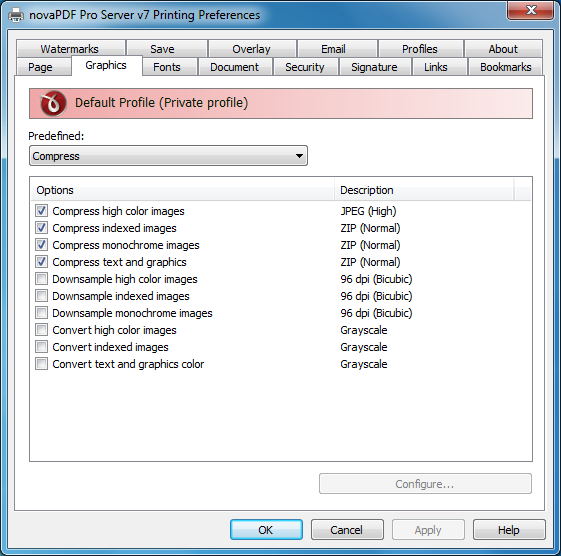 Optimizing your PDF file size for searching: When you convert your document to a PDF, make sure you choose a good compression method and options. A smaller size for a file makes the search engines get faster access to it. novaPDF allows you to customize these options to best suit his needs and the search engines requirements. You can adjust these settings in the Printing Preferences -> Graphics tab. It is an advantage to have your PDF file in a text format rather than an image one. Paying attention to the PDF file placement inside your website structure is an important feature. If the PDF file is closer to the root of the domain, it has better chances to be picked up and indexed. Add headers and footers to the PDF document with your company's name, address, contact information and website link to facilitate searches for your business. This tutorial explains how to use novaPDF specific features along with other SEO tips in optimizing your PDF file for search engines. If you have suggestions on how to improve this article add a comment or rate it.